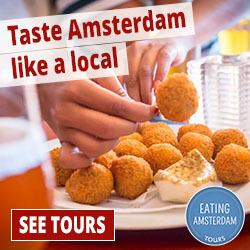 Visiting Amsterdam for a 3-day weekend? The city is a perfect place for short weekend breaks. 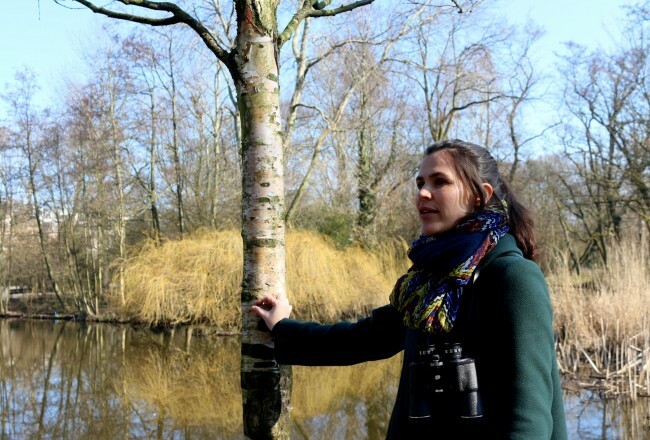 Here are our tips for a wonderful “weekendje weg” in Amsterdam. If you only have a few days to take in Amsterdam’s many charms you’ll need a good plan. 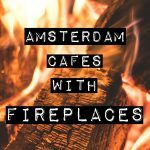 Following are our tips for places to see, things to do and where to eat and drink during an Amsterdam weekend break! 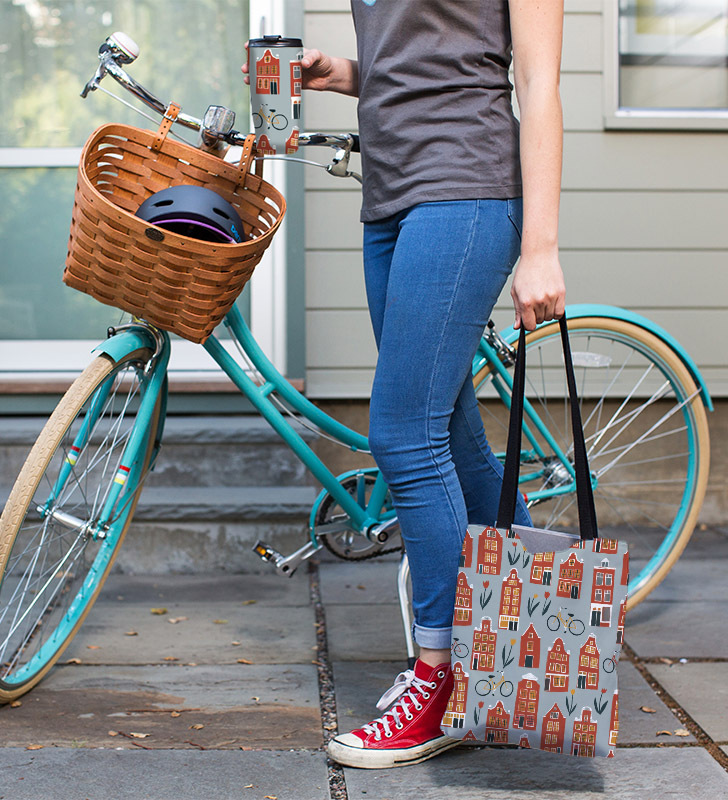 To keep it simple and save your feet from a lot of aimless wandering, we’ll focus on one area of town each day. Check our agenda to see if there are any special events happening during your visit. 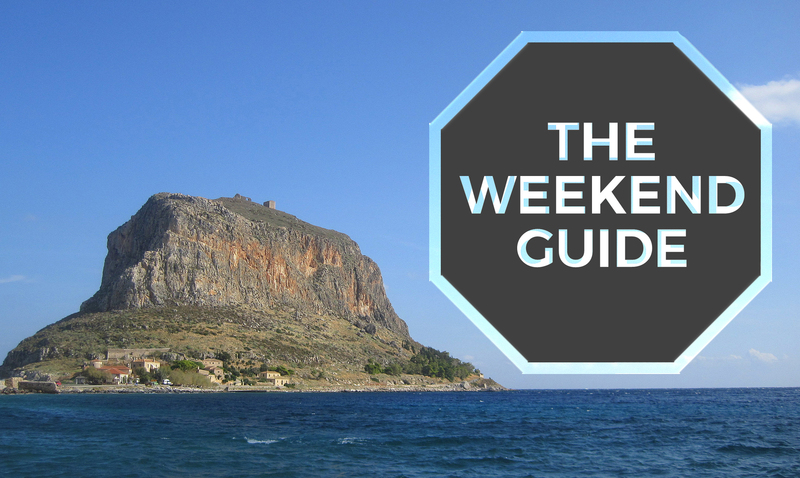 Nearly every weekend there is some culture, art, music or food festival in the city. Don’t miss these great events! 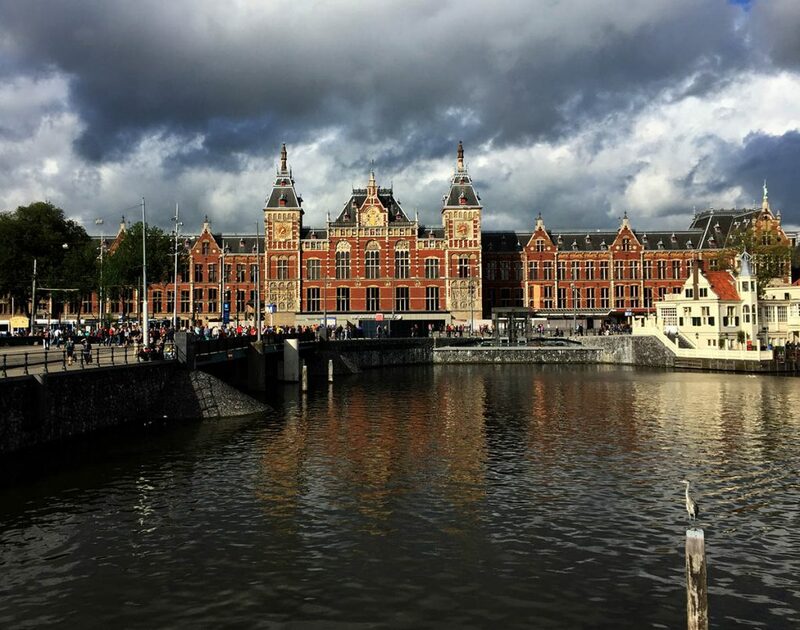 Here is our three day itinerary for first-time visitors on short breaks to Amsterdam. And don’t forget to check out our tips for getting around Amsterdam. You’ve just arrived for your short break or quick weekend getaway! 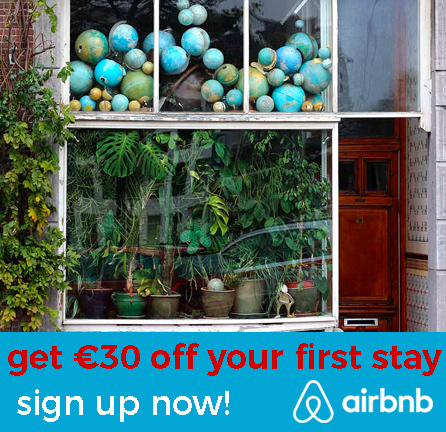 On your first day in Amsterdam we’ll focus on the heart of the city. There’s a lot to see and do! If you’ve never visited Amsterdam before, you’ll want to check out the famous Red Light District. De Wallen, as it is also known, is the oldest and one of the most visited parts of the city. Wander the small streets and alley ways, check out the ladies under the red lights, and be sure to look around at the beautiful old buildings, picturesque canals and charming little details. We’ve included a few of our favorite spots to stop for a coffee, food or drink in this area. If you’re hungry for a good breakfast, start your day at cozy cafe. 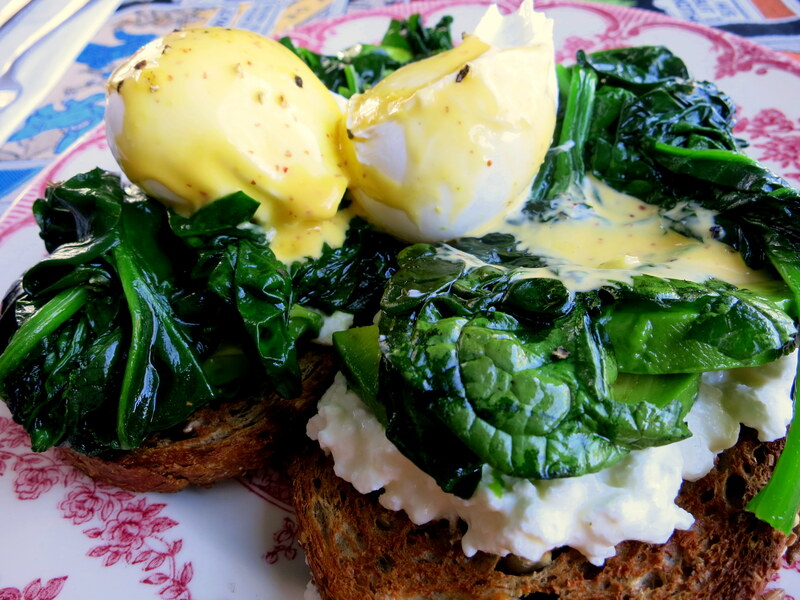 For weekend brunch try G’s in the Jordaan or G’s brunch boat. Reservations are recommended. 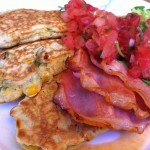 Go for a boozy brunch at Cut Throat. 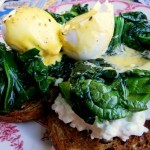 For more breakfast tips, check out our list of favorite breakfast and brunch spots. Most first-time visitors to Amsterdam don’t want to miss a canal boat tour. 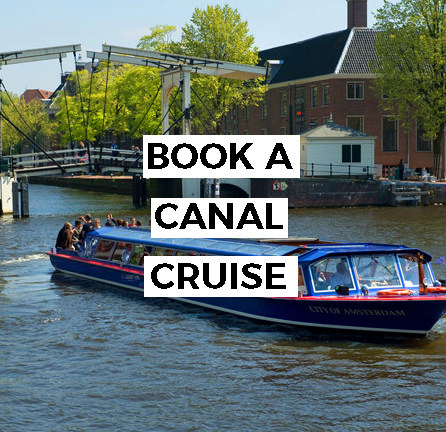 You’ll find most of the canal boat companies on Prins Hendrikkade and Damrak. Or rent a boat and do it yourself! 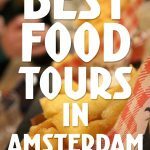 If you are a foodie, check out some of our favorite food tours in Amsterdam. We recommend booking in advance. There are lots of bicycle and walking tours of the city as well. 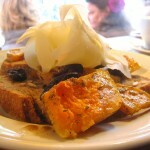 Or follow our suggested Dutch foods cycle route. 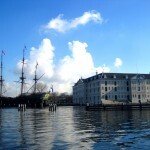 Some of the most famous Amsterdam museums are located in the southern part of town which we will visit tomorrow. In the city center you’ll also find several terrific museums for every taste. If you’d like to visit the Anne Frank house, we recommend getting there early as lines can be long. Visit the Amsterdam Museum for a lesson in the history of the city. The Rembrandthuis gives you a peek into the life of the famous painter. If you are into photography, don’t miss the FOAM museum and Huis Marseille. 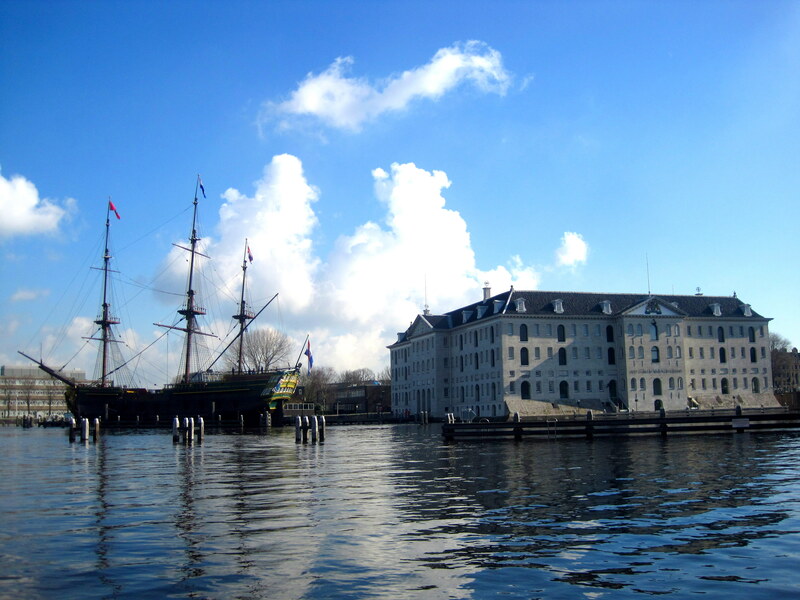 Het Scheepvaart Museum is a great stop for those interested in shipping and industry. My favorite museums are the canal museums like Van Loon, Cromhouthuis, Willet Holthuysen and Geelvinck Hinlopenhuis. For a unique experience, check out the Kattenkabinet, a museum about cats. Or Ons Lieve Heer Op Solder, a church hidden in a canal house. A cozy lunch at Gartine is the perfect break on a cold or rainy day. Call ahead for reservations. Close to FOAM is Juice & Salad, a healthy option for a quick and casual lunch. Head to one of the Vinnie’s Deli locations for fresh soup, salads and sandwiches. Check out some of our other favorite spots for soup and sandwiches. Depending on where your wandering takes you, stop for an afternoon break at one of our favorite spots in the city center. Caffe il Momento is the perfect place for a quick cappuccino. In need of something sweet? Pop into De Laatste Kruimel. Great for lunch too! If you are in the Red Light District, check out Quartier Putain or Koffieschenkerij for coffee next to the old church. 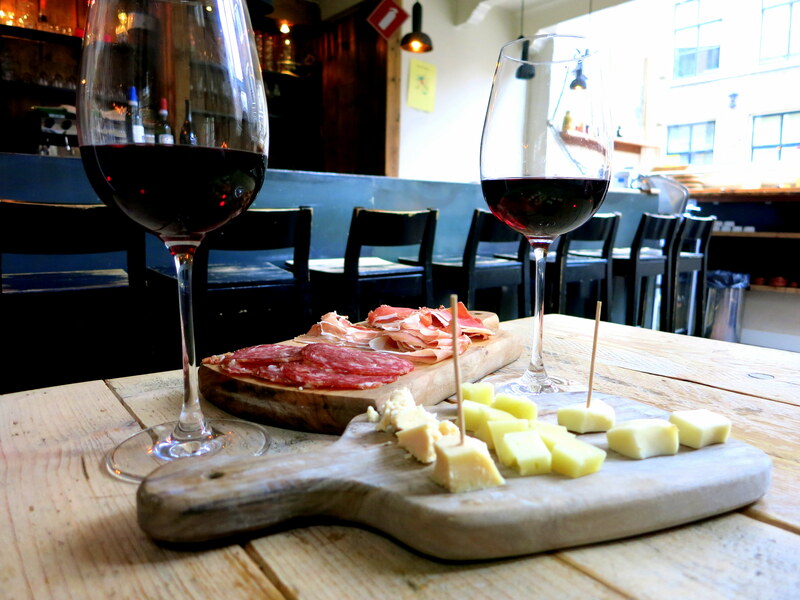 On your way to or from De Wallen, stop by Wynand Fockink for an traditional Dutch brandewijn aperitif. They open at 15:00. Cool down with an ice cream at Metropolitan Deli. They have interesting G&T and craft beer flavors too. In the mood for Vietnamese? Saigon Cafe has affordable and filling Vietnamese food. Thai Bird is a great option if you like spicy Thai food. 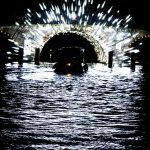 Had a few drinks on a canal and getting to dinner late? Check out Cannibale Royale, Bar Huf or Cut Throat, they are all open a little later into the evening. Check our Restaurants section for lots more ideas. Want to try some local beer other than Heineken? Check out Proeflokaal Arendsnest for a huge selection of unique beers brewed in the Netherlands. In the mood for cocktails? Duck into Tales & Spirits. If the weather is nice there is nothing better than sitting outside on one of Amsterdam’s beautiful canals with a drink in hand. Check out one of our favorite canalside terraces or if it’s chilly look for a cafe with a fireplace. The views are fantastic from a rooftop bar too. Make your way to one of our favorite rooftops. Check out what’s happening at the biggest clubs in the city like Paradiso, Melkweg, Sugar Factory and Club Air. If you’re in the mood for a quieter evening try Alto Jazz Cafe or dance late into the night with the cool kids at Disco Dolly or Closure. On your second day of your short stay in the city, venture a little outside the canal ring to the south. This area, called Oud Zuid and De Pijp, is full of lively neighborhoods, many museums and great food. 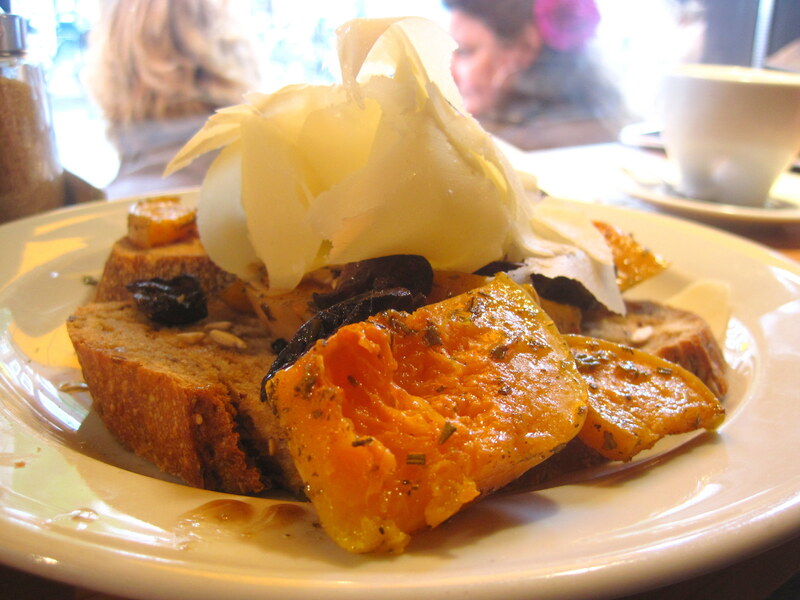 Start your day right with a yummy breakfast at Little Collins or Bakers & Roasters. 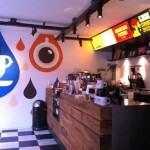 Both are friendly spots that offer delicious food and great coffee. You can also check out CT Coffee & Coconuts for breakfast in a refurbished theater. 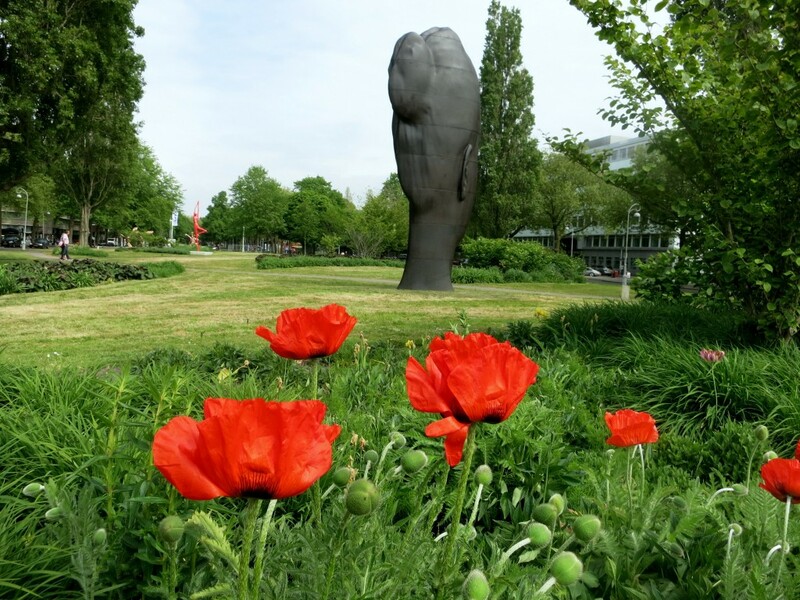 Get a major culture fix at Museumplein by visiting one or more of the world-famous museums. 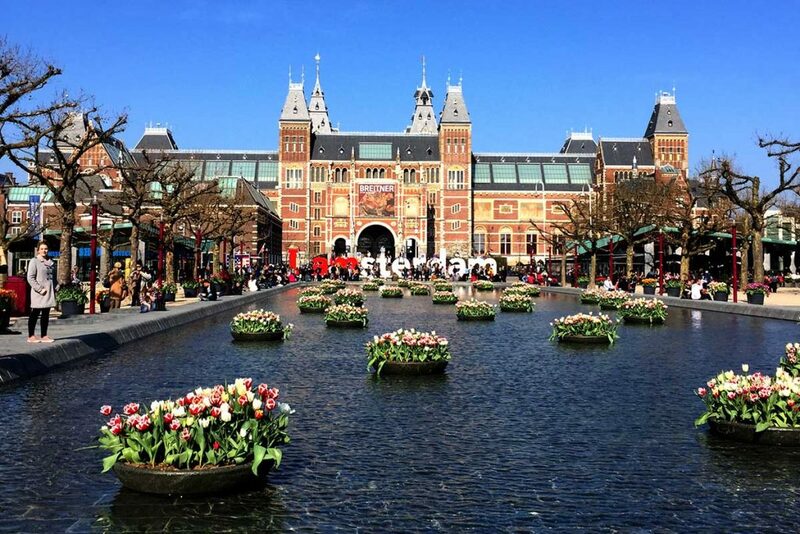 The Stedelijk, Rijksmuseum and Van Gogh Museum have each recently undergone renovations and are all worth a visit depending on your interests. 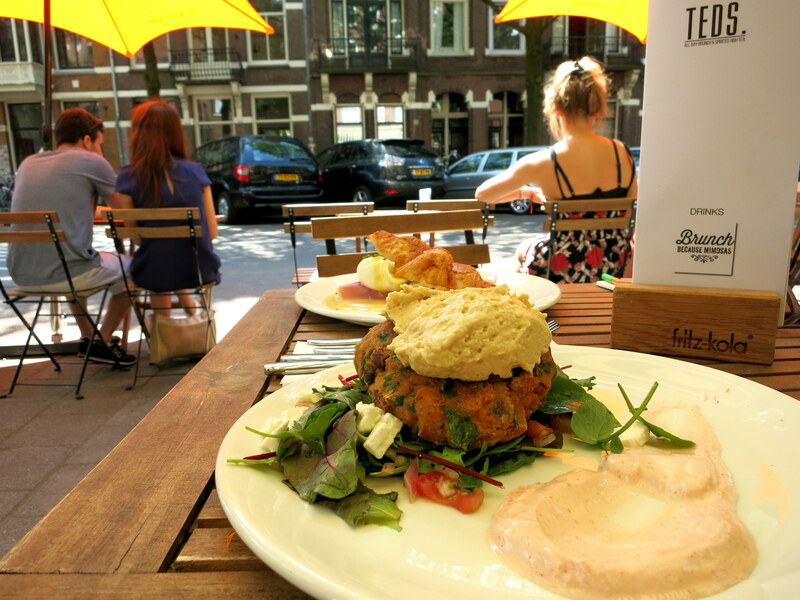 The Stedelijk and Rijksmuseum also have lovely cafes where you can grab lunch, or head back to De Pijp. 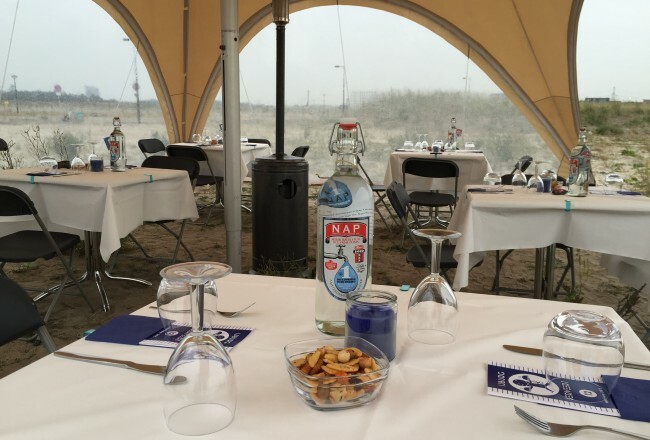 Check out our guide to places to eat around Museumplein for lots of ideas. The famous Albert Cuyp Markt is an open air street market selling a wide variety of items including fruits, vegetables, clothing, shoes, fish, cheese, bicycle parts, tourist junk, and housewares. Take a walk down the market and maybe grab a fresh stroopwafel along the way. While you are in the area, check out Cottoncake or Charlie and Mary, both have great fashion and accessories. If you’re feeling rich, head over to PC Hooftstraat for more upscale shopping. Feeling the need for an afternoon pick me up? 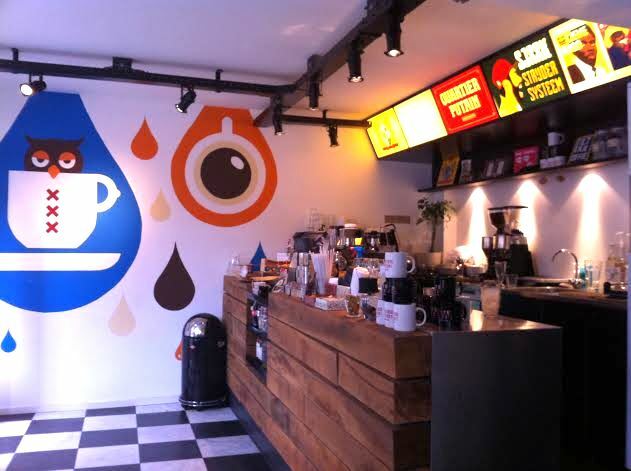 Check out one of our very favorite coffee places in Amsterdam: Scandinavian Embassy. Or perk up with a heavenly sweet from My Little Patisserie or Poptasi. 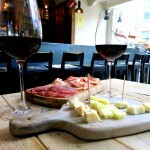 If it’s a glass of wine you’re after, check out GlouGlou or Wijnbar Paulus. Have you tasted the delicious food from Indonesia or Suriname before? 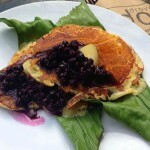 If that sounds intriguing, visit Spang Makandra, one of our favorite casual eateries. They don’t take reservations and the place is tiny, so be prepared for a possible wait. 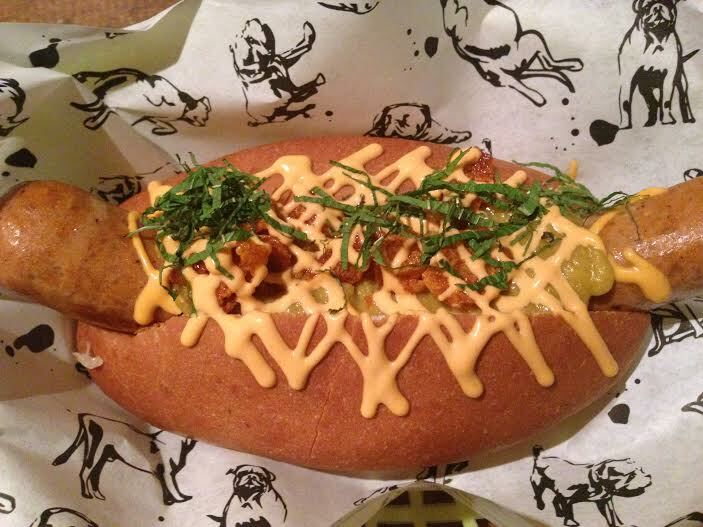 Are you in the mood for a laid-back burger or hotdog instead? 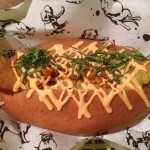 Check out Burgermeester, The Butcher, Thrill Grill, Brouwerij Troost or The Fat Dog. Or make your way to Julius Bar&Grill or Cannibale Royale for tasty BBQ. For upscale dining (and great cocktails) head to Izakaya, Ron Gastrobar or Hotel Okura. De Pijp is filled with places to party. Some of our favorite bars on the south side of town include Gollem, Kingfisher and Troost. Join the crowds at one of the many bars off Albert Cuypstraat, like Cafe Flamingo. Want to continue the party? Head to the biggest clubs in the city like Paradiso, Melkweg, Sugar Factory and Club Air, or venture further out to Canvas or DOKA. If you’d prefer to take it easy maybe you can catch a film at one of our favorite Amsterdam movie theaters. The western side of the city has a lot going on! This neighborhood stretches from Vondelpark all the way to Westerpark. For more tips in that area, check out our Neighborhood Guide to Oud West. 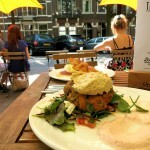 Wake up to breakfast in the Jordaan or Westerpark. 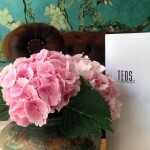 Make your way to Teds or Staring at Jacob for a boozy brunch in Oud West or fill up your energy tank at De Bakkerswinkel in Westerpark with quiche or a croissant. Afterward, head to nearby Espressofabriek for an expertly crafted coffee and then take a relaxing stroll around the park. 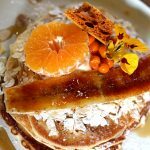 Other weekend breakfast options close to the Jordaan include The Breakfast Club, Pancakes and Gs. Reservations are recommended. 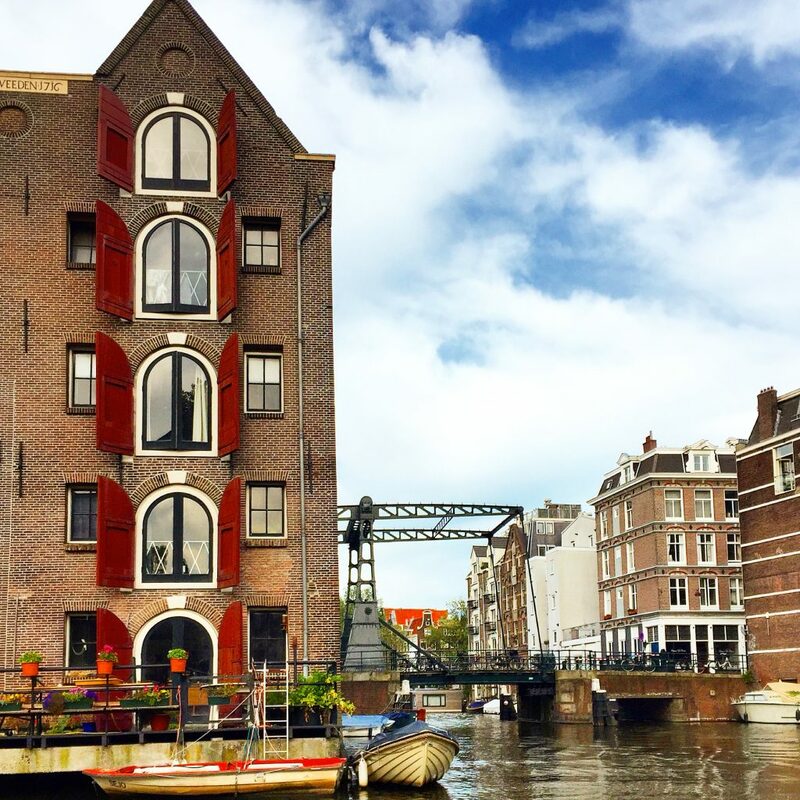 Head back toward the center for a lazy walking tour of the Jordaan neighborhood. This area was originally a working class neighborhood and is now filled with charming houses, canals, shops and cafes. Take your time to wander and relax. 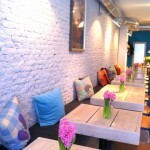 Go for a coffee at Toki or have a slice of appeltaart at one of our favorite places. 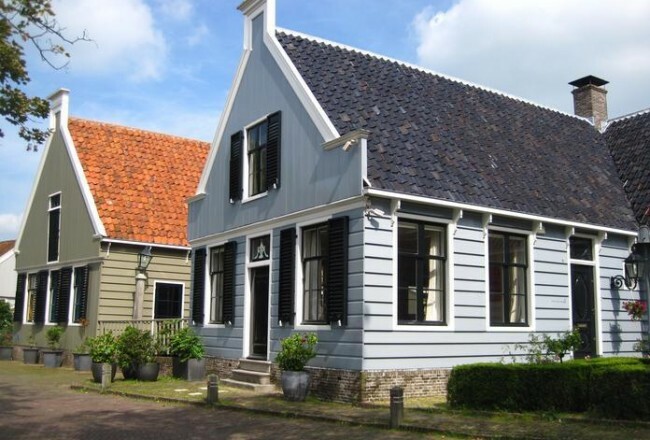 The Negen Straatjes are known for their many cute boutiques with a variety of fashions, accessories and homewares. Simply wander the streets or preview the goods from the shops in the area. 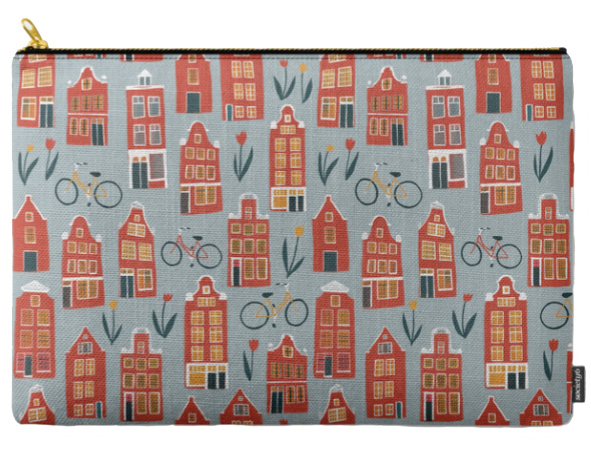 The Haarlemmerbuurt is also a great place to shop. Our guide to the area has lots of tips for things to buy and eat! If you are especially interested in home goods, head to Rozengracht. Some of our favorite shops are there including Hutspot and Raw Materials. 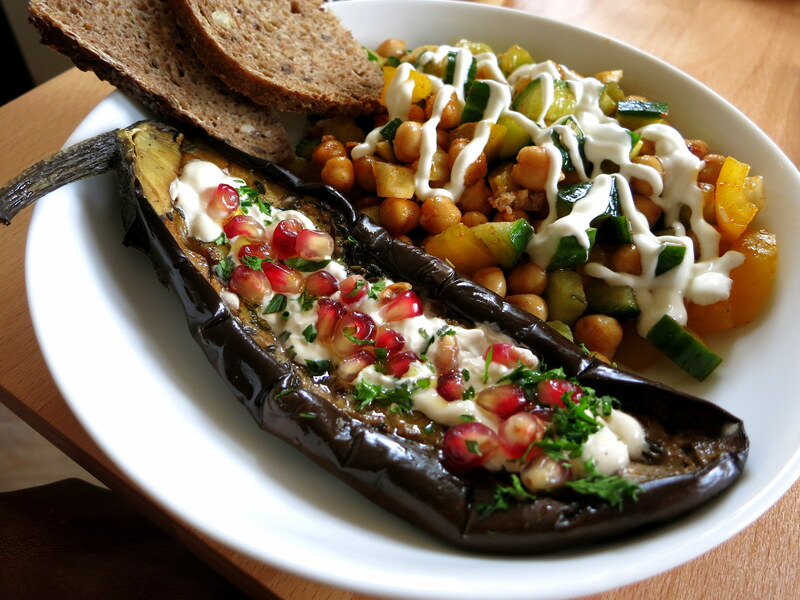 Cafe Harlem is an excellent place for a lunch break with tasty sandwiches and salads. For dinner on a weekend evening in the Jordaan we recommend planning ahead as many places will be busy. 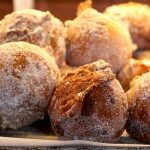 Try Pizza La Perla, Japanese Pancake World, Bar Boca, Rosie’s or Salmuera. 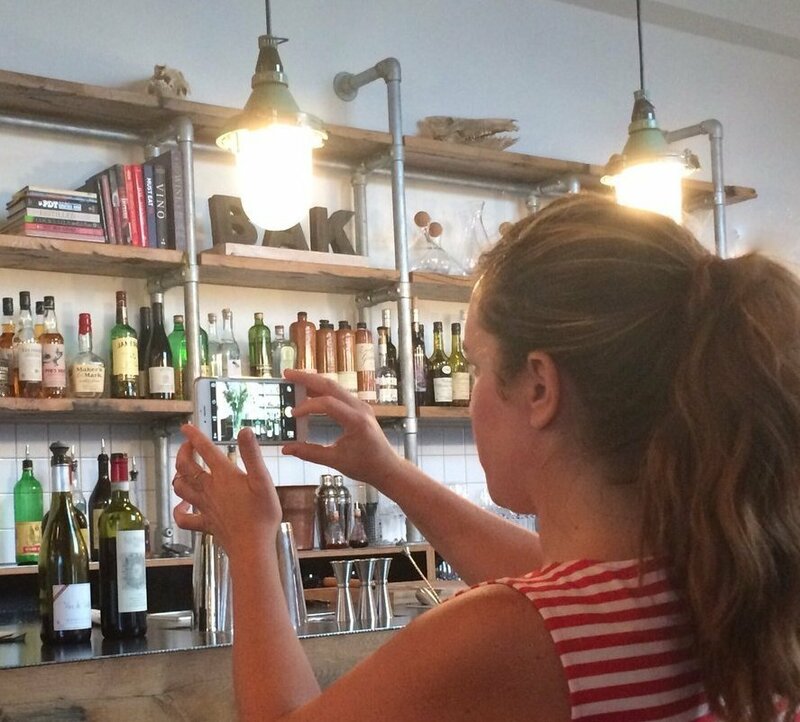 For more dining ideas in the Jordaan, check out these restaurant tips. If you’d like to head back toward the Westerpark, check out Morgan & Mees or make your way into the park for Mossel & Gin, Wester Wijnfabriek and Brouwerij Troost. 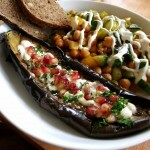 On Friday and Saturday you can go for a dinner of shared plates at De Bakkerswinkel Westerpark. There are many many charming and fun bars in the Jordaan. 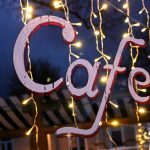 Cafe De Tuin, Cafe Tabac and Cafe Thijssen are some of our favorite typical local hangouts. Pacific Parc is a relaxed and fun club in Westerpark and the North Sea Jazz Club has live performances Thursday-Sunday. Or check out what’s happening at De Nieuwe Anita or Club Closure. 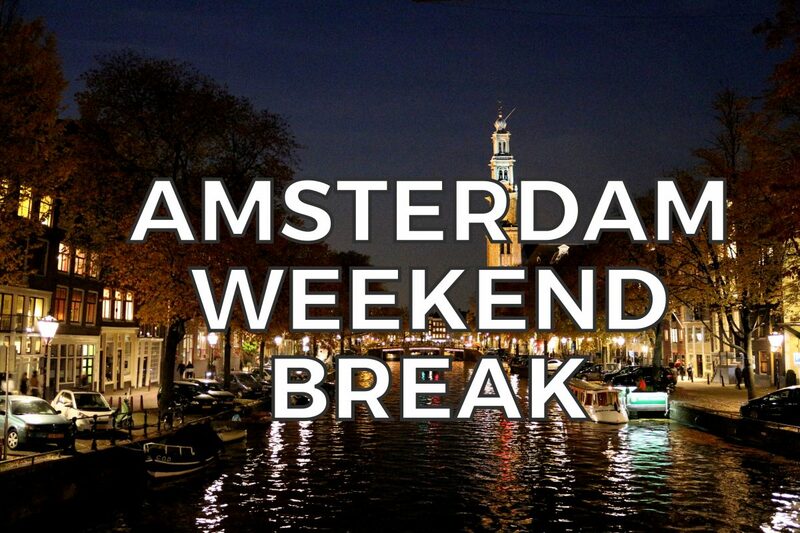 We hope you enjoyed your short weekend break in Amsterdam! Come back soon for a longer holiday! PS: Have you found a place to stay already? If not, check out some of our suggestions for unique and fabulous accommodations in Amsterdam!